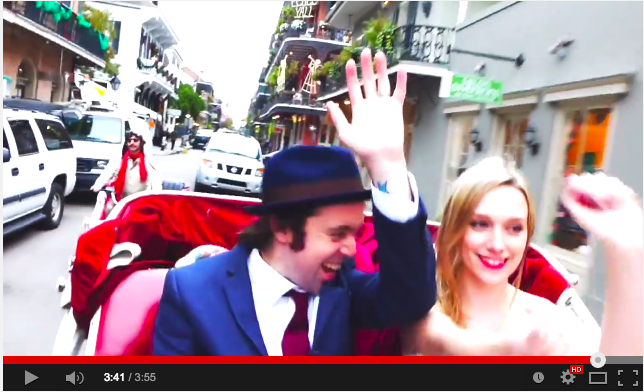 Beans on Toast has debuted a new video for ‘NOLA Honeymoon’, the latest track lifted from his new album The Grand Scheme of Things. Written in New Orleans itself, whilst on an extensive tour of America, the track follows Beans’ plans for his upcoming proposal to long-term love and regular subject, the wonderful Lizzy Bee. Shot almost a year later, the new video touchingly see’s the pair’s love story come full circle, by featuring personal footage of their real life honeymoon in the city, as Beans fulfils his promise to take her back there as his wife. Check the video out here. 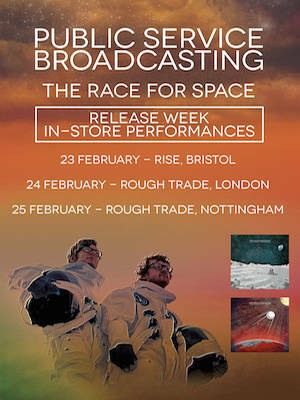 n the lead up to the release of their much anticipated second album ‘The Race For Space’ on 23rd February, Public Service Broadcasting will be playing three record in-stores next week including a set at London’s iconic Rough Trade East on Tuesday 24th February. The band will be playing material taken from the cold war / space race themed record including first hit single ‘Gagarin’. 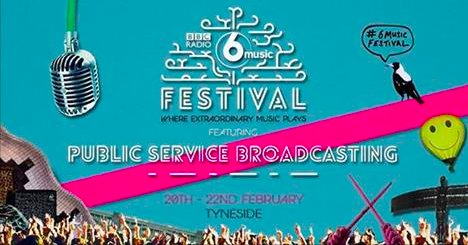 On Sunday 22nd February, Public Service Broadcasting will be performing at the BBC 6 Music Festival in Newcastle’s Tyneside. The day before their new album ‘The Race For Space’ hits shops up, the band will play alongside the likes of Jon Hopkins, Young Fathers and King Creosote at Concourse. The festival appearance will launch them into their own UK dates at the Leicester Space Centre before they head off to Australia and the US. Public Service Broadcasting will then return to the Great Britain on 22nd April for their own headline tour starting in Brighton’s Corn Exchange and ending at London’s Roundhouse on 7th May. All tickets and info can be found on the band’s website here.